Let us face it. Car insurance can be really hard to wrap your head around. But having car insurance is a necessity so you have to understand what it all means. Doing so will allow you to sleep better at night knowing you have all the coverage you need to protect the things that are important to you. Having auto insurance is something you hope to never use but you are glad to have. It becomes less of a burden if you are actually informed on what it is you have so let us break down what all those terms mean! This covers harm caused to a person – not damage done to your vehicle. Regardless of if you or the other person is at fault, bodily injury liability provides financial protection, i.e. covering medical expenses or funeral costs. It also pays for legal fees if the other party files a lawsuit against you. Similar to bodily injury liability this covers damage done to another person’s vehicle or other property. Like the previous item it also provides for legal expenses if necessary. Comprehensive coverage will pay for damages caused by incidents not involving an accident – theft, vandalism, fire, etc. This requires a deductible, which will be discussed later in the article. 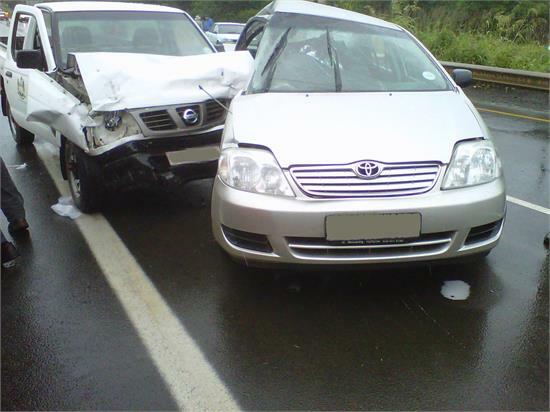 Collision coverage will pay for repairs to your car if it has been hit by another car or object. Depending on the type of coverage you can even have the car replaced. Collision also requires a deductible. If another driver injures you or the other passengers and they do not have insurance, this will cover your injury claims. It protects against the other driver not having (enough) bodily injury liability coverage. A deductible is the amount you, as the policyholder, has to pay before your insurance company steps in to pay for any remaining damages. For example, let us say you were involved in an accident that caused $2,500 worth of damage to your car and you have insurance that will cover it with a deductible of $500. You will have to pay the $500 before the insurance company will pay the remaining $2,000. Deductibles vary depending on the type of coverage warranted so we recommend choosing the deductible you know you are comfortable paying for if the need arises. If this is included in your insurance plan, your insurance company will pay for reasonable medical expenses if you or anyone else in your car was injured regardless of who was at fault. This may also offer you the same protections if injuries were sustained as a pedestrian – consult with your insurance company for more details. Certain states are considered “no-fault states,” which means drivers cannot sue the other driver unless serious injury has occurred during an accident. States have adopted this policy to stop potential lawsuits. If you live in a no-fault state and are involved in a car accident, your insurance company will pay your claim, while the other person’s insurance company will pay theirs; in this case it does not matter who was at fault. If you still have questions, contact your insurance agent for more information. Looking for car insurance? Check out our list of trusted insurance companies!